Highly recommended for the absolute New Beginner! This class is 75 minutes. Learn colocación [posture], braceo [arm positions], taconeo [footwork patterns], marcaje [marking], palmas [hand clapping] and choreography. Beginner Level 1 is always the best place to start your flamenco studies. 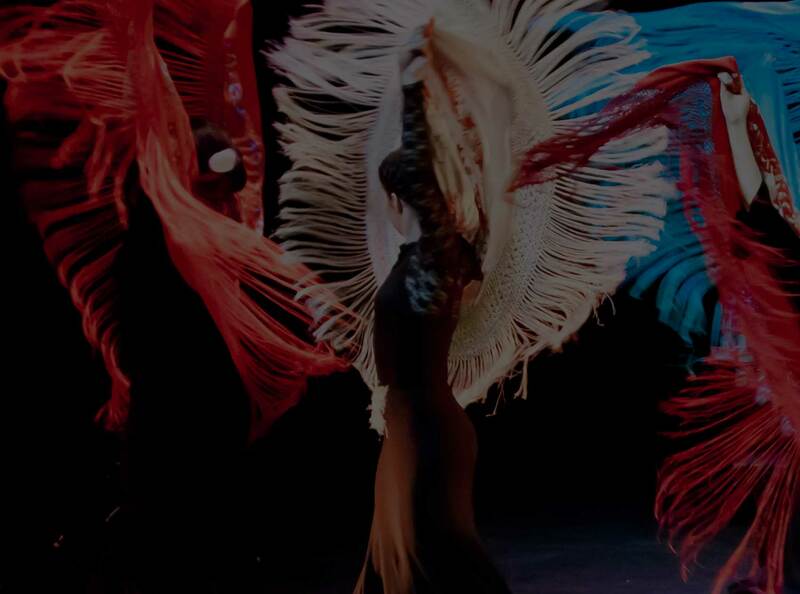 Beginners will focus on all the components of flamenco dance with posture, arm positions and footwork, with a special emphasis on the 12 count and 4 count music of flamenco. We will include palmas in your classes, to help understand the music and the accents needed, as well learn choreography. A great time to begin your studies! Please use the PayPal link below to purchase and reserve your space in workshop. Please see our cancellation/ refund policy below. Location: Palo Alto. Days: Mondays. Class Level: New Beginner (Level 1). Workshops: Cancellations must be received 72 hours before workshop begins for refund. No refunds once workshop has begun. All unused classes expire when workshop ends. Classes should be used within the session they are purchased. As a courtesy, for missed classes, we offer makeups within same levels at all our locations. Makeups must be taken within the student's registered session dates. Please notify instructor if desire is to transfer to another location, class day or making up a class within a session. All Beginner and Technique Classes Have Open Enrollment...Drop-ins welcomed! **SPECIAL...NEW STUDENT DISCOUNTS!! New Students save $2 on your first drop-in class! Just mention this offer! Palo Alto rates are normally based on a 7 week payment schedule. Payment for your class is due before taking the class. Credit cards are accepted through our website. We will not be able to process your credit card payments in the studio at the time of your class, so please purchase through our website before your workshop date. Single classes can be purchased at the studio. We accept cash, checks and Venmo at the studio. Checks should be made out to Virginia Iglesias. A $20 fee will be charged for returned checks. Palo Alto 'New Beginner' classes are an hour and 15 minutes. New students, please come 10 minutes early to your first class and register with us in studio.